The choir was resurrected in the fall of 2011 when Lisa Rempel, a graduating member of the original choir and her husband Garth stepped up to take over the directorship and bring the Youth Chorus back to life. They have continued amazing people with the choir through their performances and have had some new amazing opportunities. They were the choir selected to record with local R&B singer FLO on her anti-bullying song ‘Hateless’ which included recording the official music video and performing at the MTS Centre in the ‘Rockin’ For Choices’ concert. They have performed at the Terry Fox Run, Breast Cancer Gala Dinner, Salvation Army’s Christmas event at the Legislature and with the Ecco Singers. The WYC was seen at the Juno awards in Winnipeg alongside Classified and Serena Ryder and at Lincoln Centre in New York City performing at Alice Tully Hall. 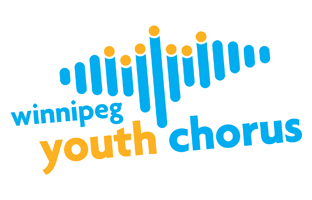 The original Winnipeg Youth Chorus was established in 1989 for students from Winnipeg and the surrounding area from grades four through twelve who loved to sing and perform. It was unique in its eclectic approach of combining choral excellence, movement, and theatre within its broad mandate. They produced seven full length musicals, worked regularly with Fred Penner both on stage and on recordings, were the children’s chorus for the Osmond’s “Joseph and the Amazing Technicolour Dreamcoat”, won many awards at the Winnipeg Music Festival, and spent ten years supporting the Children’s Miracle Telethon on CBC as their resident choir. The chorus, under the musical direction of Andrea Hammond and the artistic direction of Ed Hammond was in operation until 2005 when the Hammonds left for a short teaching opportunity in China. The original chorus has since become an Alumni only.